Good lighting blends the mood or the ambiance of the room and creates the atmosphere you need, whether you are spending quality time with your family, you have guests, or at a meeting in your office hub. 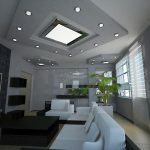 Lighting incorporated for style, improves the sense of comfort and at the same time makes it more pleasing to the eye. Digg Interiors understands this crucial aspect while furnishing your home or your office. If it’s your restaurant, then the lights need to be discreet drawing the focus away from diners to the food. Or if it’s the exteriors you need to light up, then security and safety standards need to be met. Depending on the space you are working on, you can use reflection to your advantage or mask it as required. Dimmers in lighting too, play a very important role to regulate the brightness. Keeping all this in mind, Digg Interiors brings in a plethora of ideas to browse through while lighting up your home. Light fixtures invariably play another important role i.e in ceiling displays. Ceiling designs need not be drab plasters of putty anymore. 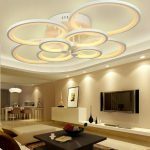 Modern ceiling designs can be sophisticated, intricate and elaborate and can be included in a ceiling design with recessed lights or LED ceiling lights, giving that intimate touch to a bedroom ceiling or creating a playful atmosphere in a children’s room. Living room ceiling designs can be converted into a work of art by integrating pendant lights or chandeliers into the ceiling design. Office space too, can be made more warm instead of a cold stern appearance. Another aspect of ceilings that is normally integrated with lights is the ceiling fan. Ceiling fans can help reduce heat and efficiently lower energy consumption instead of using an air-conditioner on maximum capacity. Thus saving high energy bills. Ceiling fans with lights are now designed for those discerning and economical clientele when adorning their homes or office. Technology enabled applications or apps are another feature of 3D interior designing which can help choose the right combination of design and colour with the correct lighting design to complement it. If 3D designing has changed the concept of how our homes are built and look, mobile technology is goading the lighting industry to new heights allowing lighting to be more energy efficient and affordable. Mobile applications on smartphones now allow lights to be controlled remotely thus enabling cost effective living. From your living room to the dining cove. The gangway, the kitchen, the bathroom, balcony or your workplace, all these can be made awash by natural light or artificial lights. There is a wide array of lights and styles that you can choose from, recessed lights, pendant lights chandeliers and such. Digg Interiors are here to assist you from designing to product selection and installation to make your home interiors and office interiors a testament of comfortable living.